Operating from a modern 100,00 square foot Warehouse approximately three miles off the M6 north (junction 31A) the company specialises in Buying, Refurbishing and Supplying, Secondhand Pallet Racking and Shelving Systems for Industrial, Commercial and Consumer use. We stock all major brands of pallet racking and shelving systems including Apex Pallet Racking, Dexion Pallet Racking, Hilo Pallet Racking, Link 51 Pallet Racking, Longpspan Systems, Mecalux Pallet Racking, Polypal Pallet Racking, PSS Planned Storage Pallet Racking, Sperrin Pallet Racking and Redirack Pallet Racking. 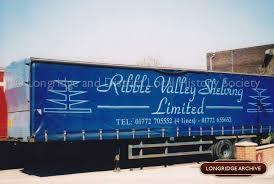 All of Ribble Valley Shelving's Secondhand / Reconditioned Pallet Racking Systems are of a Good High Quality condition and refurbished on site to the highest of standards using the latest techniques in powder coating. 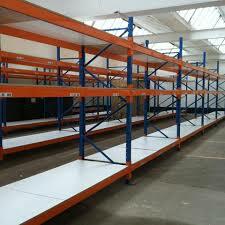 Our Secondhand and Pre Used range of Pallet Racking, Pallet Racking accessories and Shelving Systems includes all top leading manufactures makes such as Apex Pallet Racking, Dexion Pallet Racking, Hilo Pallet Racking, Link 51 Pallet Racking, Longpspan Systems, Mecalux Pallet Racking, Polypal Pallet Racking, PSS Planned Storage Pallet Racking, Sperrin Pallet Racking and Redirack Pallet Racking. By choosing our used Industrial Pallet Racking Systems customers achieve great savings compared to the cost of buying new products with no comprising on Quality or Safety.